Why is it that all gas stations seem to require your zip code to validate your credit card at the pump? Requiring me to type my zip code is a poor user experience and extremely poor security. According to the U.S. Census Bureau the United States only has around 40,000 zip codes. Zip codes are not only finite they are trivial to guess. 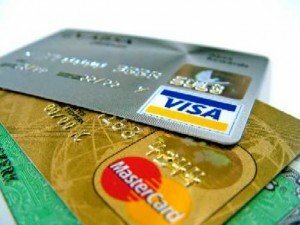 A thief with any intelligence at all will know the relative location he/she accrued the credit card. Narrowing the zip codes to less than 10 because the average American only commutes 16 miles. More than likely the thief will steal the whole wallet or purse and already have the zip code off the ID. A five digit PIN would offer higher security by providing 100,000 possible combinations and making it impossible to guess by geographical location. Ever since I moved to Canada I realised how far behind the US banks are. Our debit cards REQUIRE a PIN (four digit or otherwise, but four-digit is best if you’re going to travel to the US), they can’t just be swiped as a Visa or Mastercard. Most of our credit cards (it’s being phased in) also have a chip so instead of swiping them, you stick them in the machine that reads the chip. When a company has this type of reader a PIN is also required to use your credit card. I actually ran into a restaurant in Scotland two years ago that didn’t even accept “regular” credit cards (ones without the chip). It’s also annoying for me in the states if I want to use a Canadian card and it asks for a zip code . . . ours are six digits and have three numbers and three letters so it’s kind of not possible. Instead I have to go into the gas station and get a five digit code from them and then go back out. It’s ridiculously complicated. As you say, having a PIN would make a LOT more sense.